And so OPUS JAY rolled on into 20 September 2013. 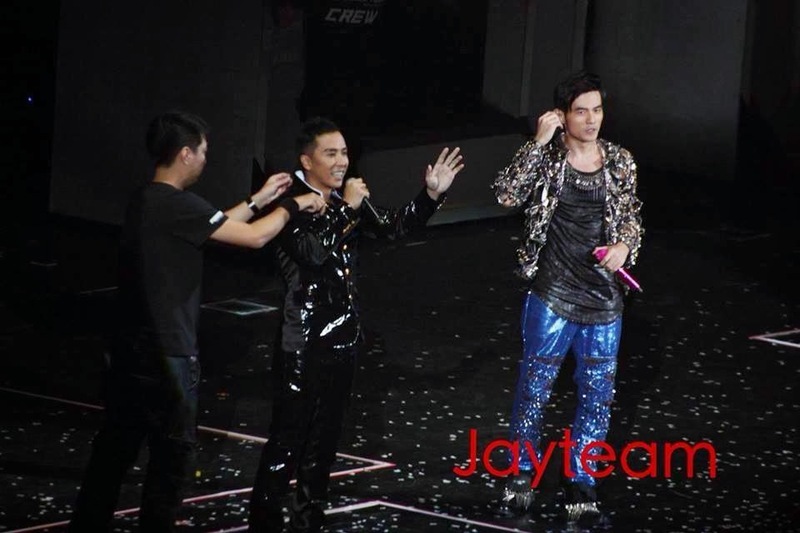 The guessing games were on-going amongst the fans! 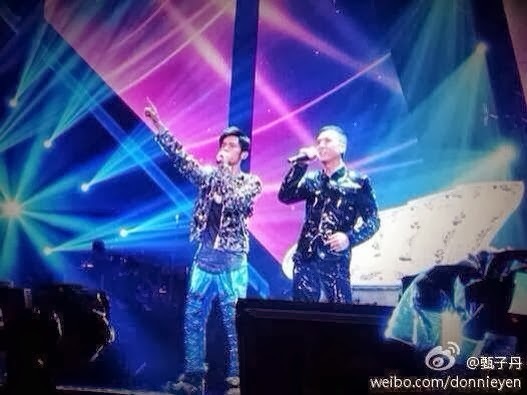 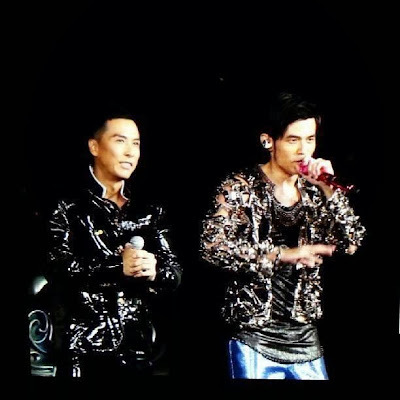 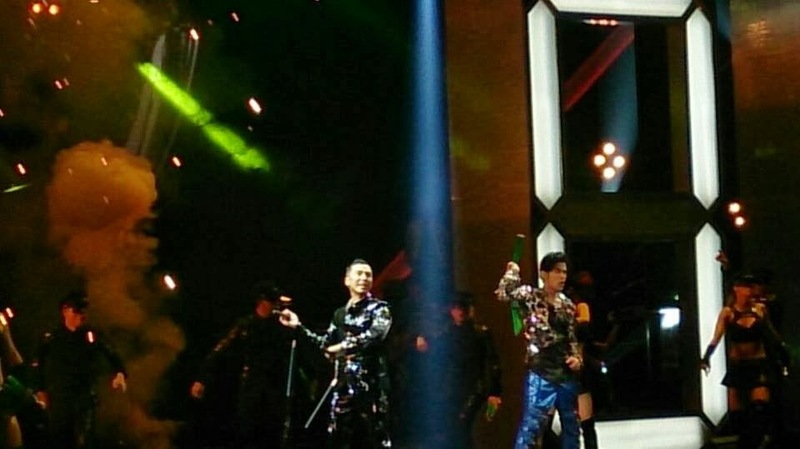 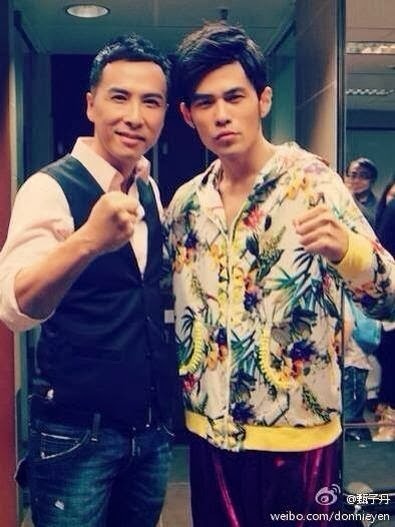 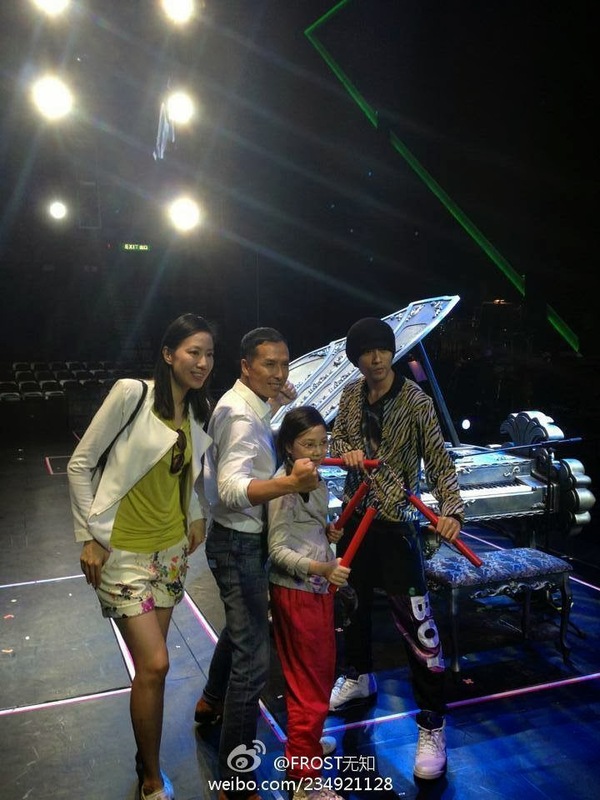 And once again, His Royal DIAOness confounded us with his choice of guest for the seventh show in OPUS JAY, Hongkong. 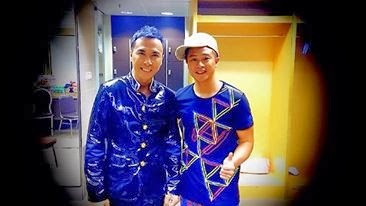 Omg....when I first saw this on a friend's post, I could not believe my eyes! 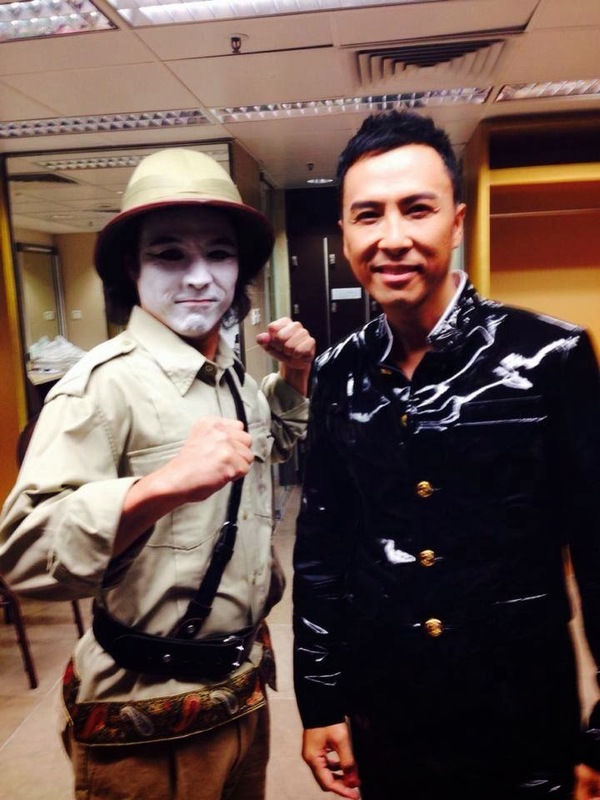 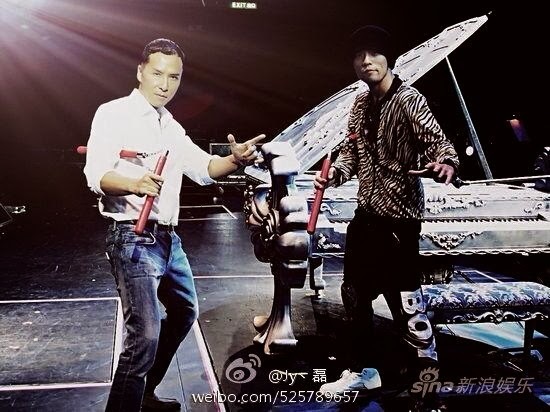 But indeed, it was the one and only Donnie Yen, Ip Man himself! As usual, Jay had to be unusual and this time round, it took the form of his guest (Donnie) playing the piano for him (Jay) to sing. 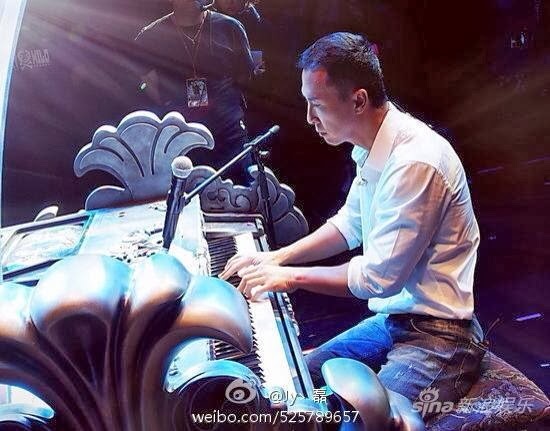 Hec...it was a revelation to me that Donnie could play the piano too! 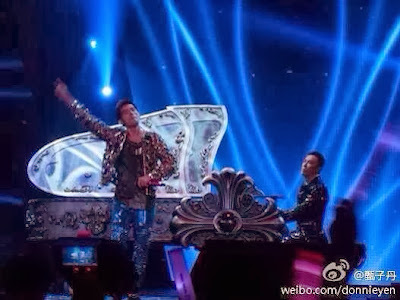 Donnie did his own solo of a Ragtime piece which thrilled the fans. 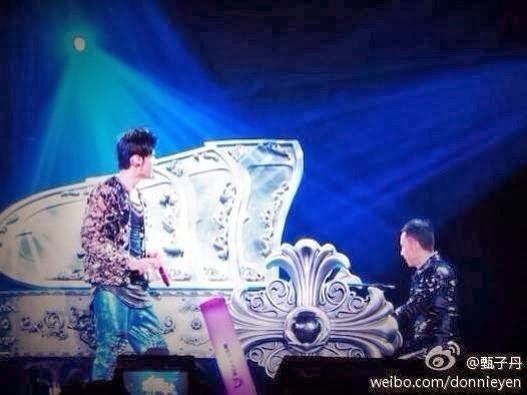 Jay: I don't dare to play the piano after hearing you play!